Join LA City Attorney Mike Feuer for a Town Hall with local communities, including those in the NANDC area. Topics will include a conversation about the homelessness crisis and the City's work on gun violence prevention. 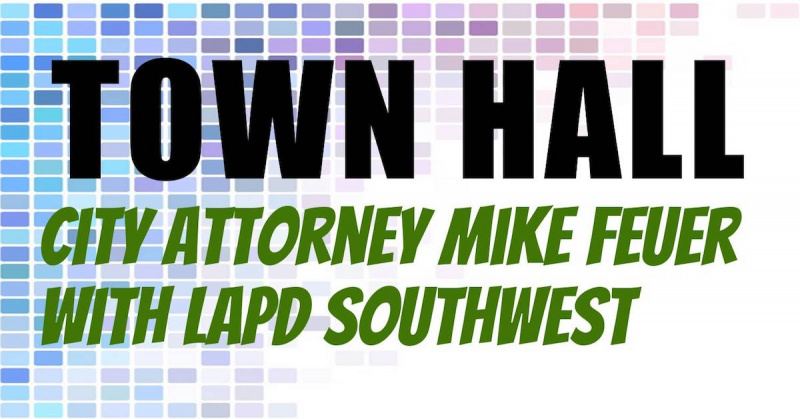 There will also be a public safety update from the LAPD Southwest Community Police Station and you'll meet your new local problem-solver, Neighborhood Prosecutor Michelle West. This community meeting will take place at St. Paul's Presbyterian Church on Thursday, March 15 from 6-7pm. Learn more here.